It is not normal – I went to J Crew on Sunday, didn’t buy any clothes, shoes or jewellery, instead I entered the shop at the “wrong entrance” – the menswear entrance, but ended up making one of my happiest purchase ever! 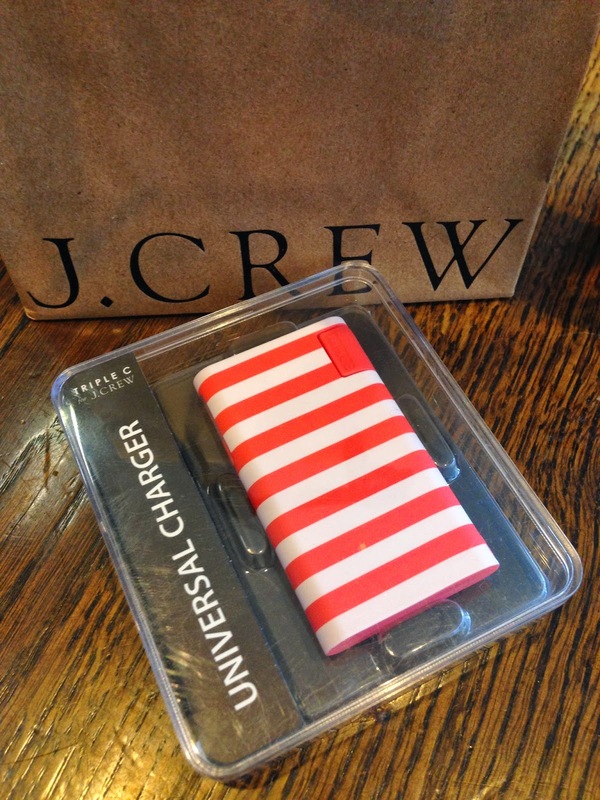 It is the Triple C for J Crew Universal Charger for my iPhone 5! Just look at it! 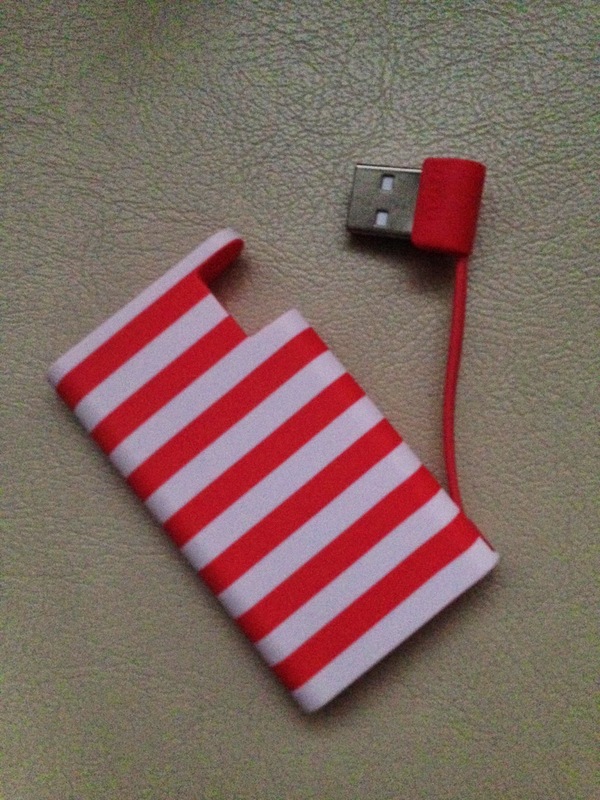 The neon orange and white strips pattern is bright, fun & fashionable. I feel proud to do some public charging with it (do beware of snatchers if you leave your phone out on a Starbucks table…). Juice Cube is small but the cube shape could be awkward to some small handbags. 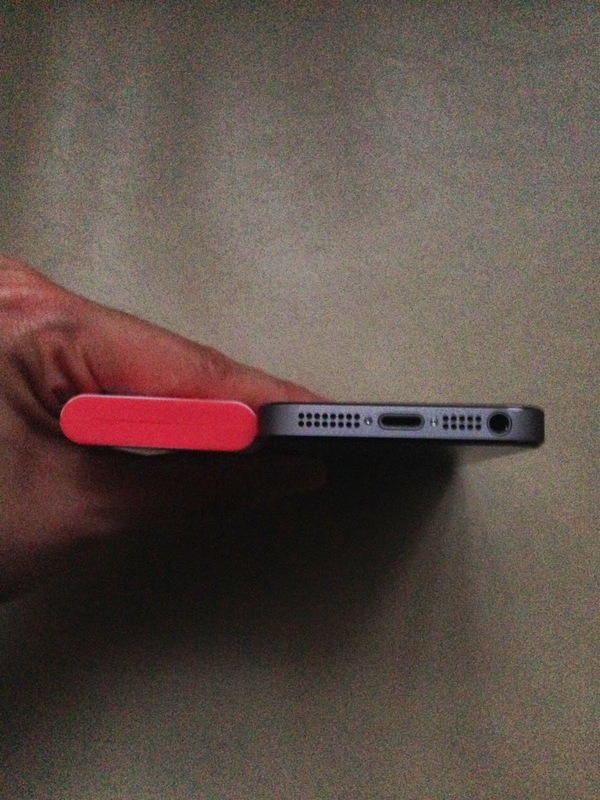 Look at how thin and small this charger is! It can be easily slipped into any handbags or even evening clutches! 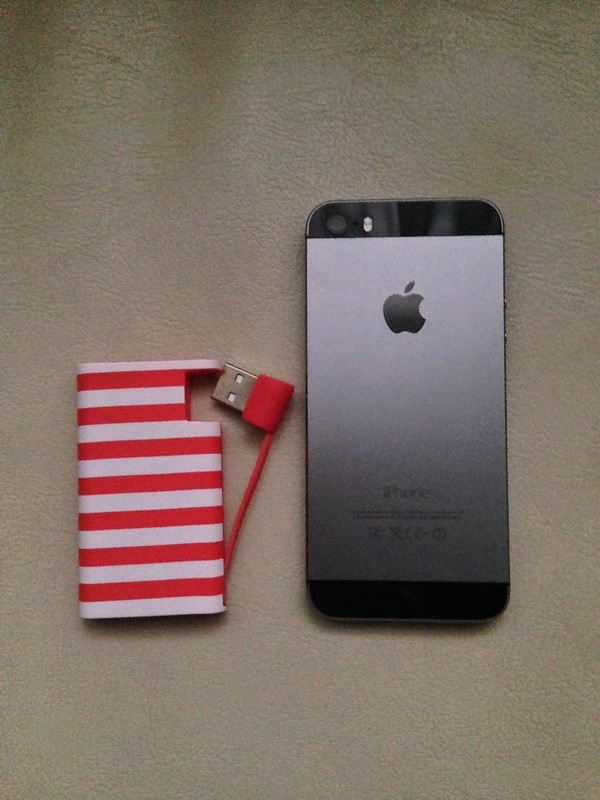 Even it is small in size, it can provide one full charge to my iPhone 5, and the charging speed is pretty quick too! 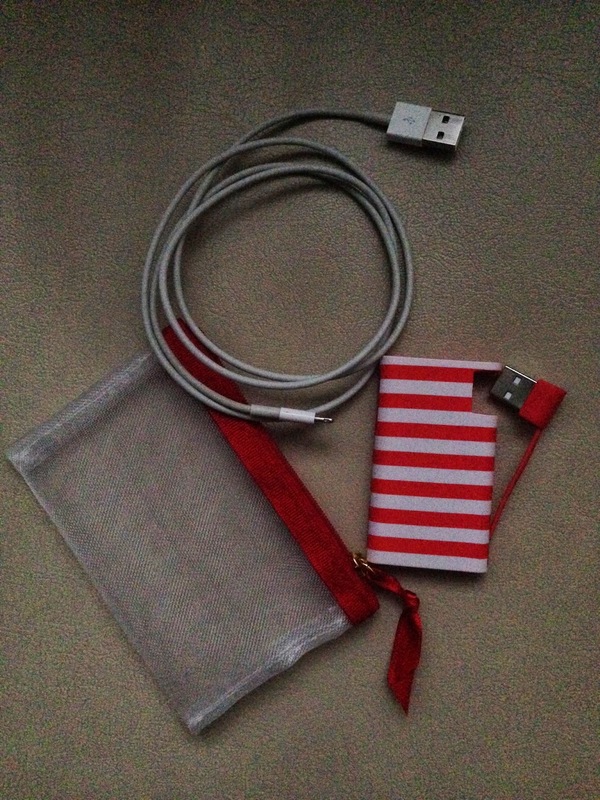 All I need extra is an iPhone cable and I don’t have to worry about running out of battery for the day. It is on the expensive side of £39.50, but I think it is totally worth it!! 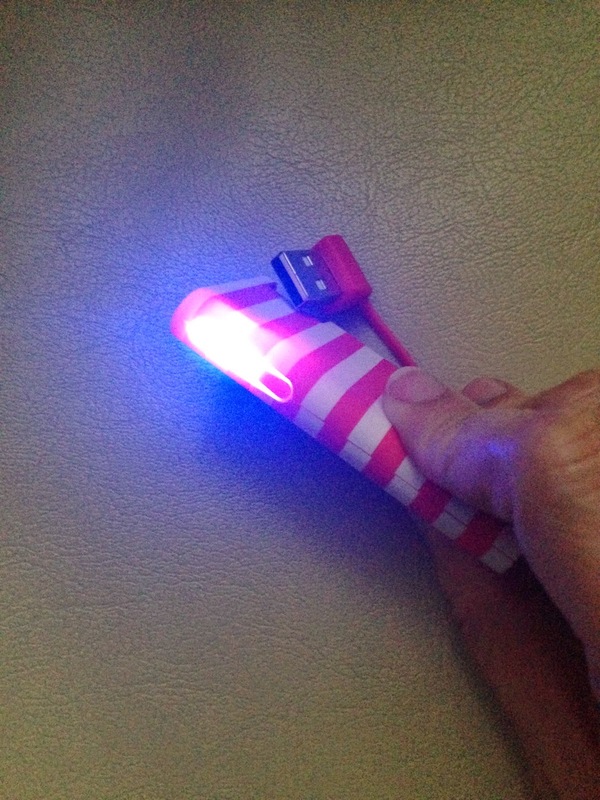 The most useful and the best looking gadget in my bag!